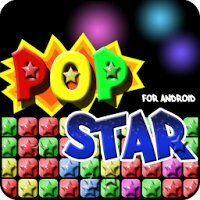 Free Download Pop Star for Android v3.0.4 APK For Android From RevDl.comOnce you pop, you can’t stop!Pop Star is a very interesting game on iPhone and now it is migrated to Android.Tap on two or more adjacent stars to destroy them._______________________________________How to Play:- Just tap two or more blocks of the same color.- There is no time limit, but each stage has target points to proceed to next stage._______________________________________Tips on Scoring:- Remember just two rules below:1. The more blocks you pop, the more score you will get2. Try to clear all block, you will get a lot of bonus.